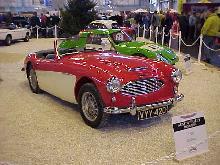 Launched in 1959 the new Austin Healey 3000 (Mk I) introduced a number of improvements to the already successful 100-6. The change of model name heralded the more powerful (124bhp) 2912cc, BMC C-Series engine. The new engine improved the cars performance, allowing a top-speed of nearly 120mph. 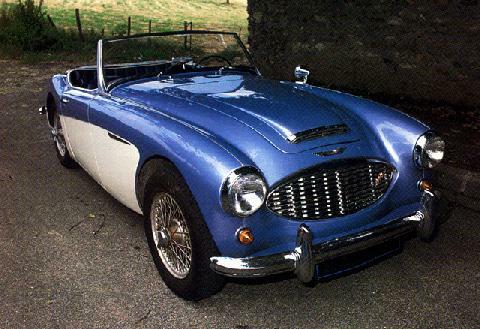 Other improvements included front disc brakes, wire wheels as standard, and a choice of either 2 seater (BN7) or 2+2 (BT7) body styles. 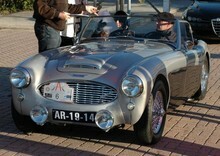 Options included a detachable hardtop roof and overdrive transmission. 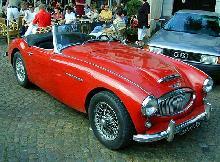 The 3000 Mk I remained in production until the arrival of the Mk II in 1961. 7' 8" 4' 1" 4' 1" 13' 1" 5' 0" 0 (23) 0' 0"